Important Records (IMPREC) has been curated since 2001 by John Brien who, if pressed for an explanation of the label, will simply state that it is like a great record shop, well-stocked in powerful music without focus or fuss over specific genre categorizations. 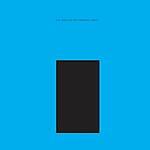 Not overly conceptual, the label focuses on an extraordinarily diverse roster of artists who are neither ephemeral nor trendy and continue to make passionate and evocative music throughout their lives. The character conveyed most often in Important releases isn't style but substance, with a personal and emotional depth that makes the label easy to understand but difficult to explain. 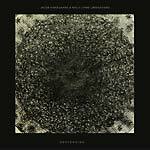 Artists including James Blackshaw, Eliane Radigue, Jozef Van Wissem, Catherine Christer Hennix, Duane Pitre, ELEH, Pauline Oliveros, The Thirteenth Assembly, David Rothenberg, Diane Cluck, Acid Mothers Temple, Christina Kubisch, Merzbow and Smegma continue to expand the scope of Important by consistently releasing some of their best work through the label. Eleh's Home Age series was composed and recorded over a period of five years and it reflects a search for color, form, connection, and growth. The handmade artwork contained in each package was created during the same period of time the music was composed and is an integral part of the meaning of Home Age. 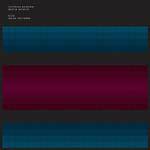 For this release, Eleh plays modular and analog synthesizers, piano, organ, bass, and symphonic chimes. Although Home Age is a two-part set, Eleh's upcoming Living Space release for Touch is very much the conclusion of this era of Eleh. Packaged in a thick, letterpress printed Arigato Pak by Stumptown Printers in Portland, Oregon; each package contains an individual piece of art (linocut/screen print/watercolor) from the artist; one-time edition of 480. 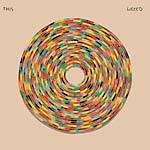 Weeed's debut for Important Records, titled This, has an expansive musical vision and an astonishingly mature sound from a young band. Despite their relatively young ages Weeed has been together for ten years -- a fact made apparent by the fluidity and unity of their sound. Labels such as stoner/psych/jam/alt/krautrock fall short as the band draws from a deeper pool of inspiration including gnawa, traditional folk, jazz, minimalist orchestras, overtone singing, and much more. This is the product of both a desire to make such influences more apparent as well as a desire to explore the boundaries of the members' abilities to connect with each other; to become, in essence, one mind. Though the skeleton of the album was written during practices, the dynamics and fullness of each song were often reconnoitered and spawned through the improvisations which occurred during live settings and tours. The idea was discovery through the act of being present, and This was the result. Sonically, This is an outgrowth of their last release, Meta (2017), which saw the band beginning to experiment with ambient and vocal looping, flutes, synthesizers. Those explorations are present here, as is the notable (and permanent) addition of a second drummer, which is defined through the mixtures of tight syncopations and pulsing polyrhythms present in these songs. Recorded and produced at Bear Creek studio in Woodinville, WA, This marks a shift in sound that will only lead to further exploration into new musical territory. Part One of Halleluja Mystic Garden contains two long sides of blissed-out, super tight Acid Mothers Temple jams that somehow stretch into the future while staying strongly rooted in the group's celebrated psychedelic history. Hallelujah! Another essential AMT classic including vocals from Cotton Casino! 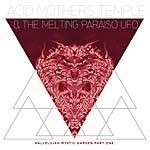 Recorded at Acid Mothers Temple, June 2016 to March 2017. Produced and mixed by Kawabata Makoto. Part Two will be released later in 2018 on Important Records. 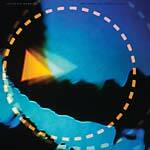 Personnel: Cotton Casino - voice, astral mama; Kawabata Makoto - guitar, fretless bass, bouzouki, organ, rhythm machine, electronics, tapes, speed guru; Higashi Hiroshi - synthesizer, noodle king; Mitsuko☆Tabata : guitar, guitar-synthesizer, voice, kisses & hugs; Satoshima Nani - drums, another dimension; S/T "Wolf" - bass, tapes, space & time. Packaged in a heavy duty single pocket sleeve with silver metallic inks. First pressing comes in an edition of 500. Seattle experimentalists Newaxeyes play with tension and contradictions. Merging dark electronics, crystalline guitar melodies, pummeling beats, and samples to refract the volatility, paranoia, and catharsis of the post-Information Age, the band spins carefully orchestrated and recklessly warped instrumentals into something entirely their own. Their debut album, Black Fax, recorded live to tape over the course of two days and produced by Randall Dunn (Sunn O))), Earth, Wolves In The Throne Room), is a testament to the band's genre-agnostic approach to music. A quartet of skilled multi-instrumentalists, Jordan Rundle (bass/synths/sampler), Bret Gardín (electronic drums/synths), Tyler Coray (guitar/sampler), and William Hayes (guitar/synths), draw inspiration from a wide variety of places and seamlessly merge them into songs that are as abrasive as they are cinematic. Opening song "False Flag" samples vocals from dozens of conspiracy theory videos, unrecognizable as they are seamlessly woven through soaring guitars and a glitchy drum machine. "Aleph Null" is an example of the way the band is adept at mixing textures, moods, and instruments to create something that nods at the band's eclectic list of references while being simultaneously unique. Parts of "Dennis" could easily be used as a thumping beat-driven background to a hip-hop song while others are downright ambient, blending post-rock sensibilities and a strumming guitar line. "At Blood's" serves as a slow meditation between the punching percussion that drives the rest of the album. With guest vocals from composer/vocalist Hanna Benn recorded in a cavernous gutted stairwell and distorted over a droning synthesizer, there's a hint at the dynamic abilities the band is able to pull from. Since forming in 2013, Newaxeyes has pursued a diverse range of projects within and beyond a traditional band structure. Versatile performers with backgrounds in modern composition, sound design, film, and visual art, their wide-angle vision has encompassed various multimedia projects, art collaborations, and large-scale works. Guitarist William Hayes recently played on Jóhann Jóhannson's score to Panos Cosmatos' ("Beyond the Black Rainbow"), Nicolas Cage-starring film Mandy (2018), the latest Myrkur album Mareridt (2017), toured as live keyboardist of Wolves In The Throne Room. Bret Gardín contributed electronic drums to post-punk pioneers Sort Sol's Stor Langsom Stjerne (2017). 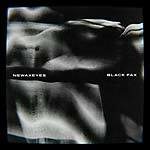 If Black Fax is anything to go by, Newaxeyes is sure to carve out something all their own in the coming years. Important Records present a reissue of The Mask Of The Imperial Family, originally released in 1981. Replica LP; housed in a screen-printed jacket. All copies are pressed on turquoise vinyl to match the sleeve. Edition of 200. Mutant Sounds on the album: "Both profound and profoundly jaw dropping, the esoteric moves of this massively rare and insanely obscure 300 copy Japanese marvel have until now remained the sole preserve of a handful of heavyweight collectors. It's time to let the cat out of the bag on this one. 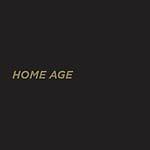 The dankly cavernous and unsettling acid maneuvers of Dome circa their first three LPs (though absent vocals) are the nearest antecedent I can summon for the principal thrust of the sound here. So too, there's a ritualistic dimension to this stuff that's also a bit suggestive of something like Vasilisk or The Hybryds, though the arcane initiatory atmosphere here is far more penetrating that anything I've heard either of those two muster. Combine that with a Johan Hedran-like overlay of wafting, heat-warped systemic electronics and you're at least in the general neighborhood, but these are only indicators pointing toward the occult sonic universe that The Mask Of The Imperial Family are enacting..."
Sonambients: The Sound Sculpture Of Harry Bertoia is a deluxe CD/DVD package containing historic recordings made in Harry Bertoia's Sonambient barn. 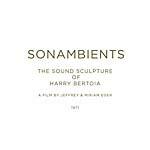 The DVD, a film titled Sonambients: The Sound Sculpture of Harry Bertoia, by Jeffrey and Miriam Eger, was shot in 1971 and follows Harry Bertoia in performance and interview throughout his Sonambient barn deep in the Pennsylvania woods. This film offers a rare opportunity to follow the artist in practice, listening carefully as he moves contemplatively through his sculptures and gongs. Interview footage offers rare insight into Bertoia's inspiration and process. A separate CD contains four exclusive, recently discovered audio recordings. Included are the two earliest known collaborative tapes from Harry and brother Oreste, morning and evening sessions dated October 12, 1969, as well as a collaboration between the Bertoia brothers and their sister Ave who sings in careful unison with the overtones being produced by the sculptures. With the passing of Oreste Bertoia in 1972, these recordings mark the last meeting of all three Bertoia siblings. A 16-page booklet includes many never before seen production stills shot by Jeffrey Eger. These iconic images capture the essence of the artist in practice. DVD is NTSC format, region free. On October 6th, sui generis Brooklyn-based band Barbez, in collaboration with singer Velina Brown, release a remarkable tribute to the International Brigades called For Those Who Came After: Songs Of Resistance From The Spanish Civil War. The album, consisting of inventive and moving new renderings of the indelible protest songs of the International Brigades, was recorded live at the Japan Society, in 2016, at the annual reunion of veterans of the Abraham Lincoln Brigade. The highlight of the reunion has always been the singing of these songs, which were led on several occasions by Pete Seeger, a life-long friend of the Lincoln veterans, who recorded many of them for his iconic 1944 album, Songs Of The Lincoln Battalion. Barbez draws on avant-rock, contemporary classical, and folk music styles such as cumbia and flamenco to reinvent iconic songs for a new generation of listeners. The album features clarinetist Peter Hess (Philip Glass Ensemble), Theremin virtuoso Pamelia Stickney (David Byrne), marimba and vibraphone player Danny Tunick (The Clean), guitarist Dan Kaufman (Rebecca Moore), violinist Catherine McRae (The Quavers), bassist Peter Lettre (Shearwater), and drummer John Bollinger (Sway Machinery); with vocalist Velina Brown (San Francisco Mime Troupe) and special guests Dafna Naphtali on background vocals and Sebastiaan Faber on trumpet. It's the first Barbez record since 2013's acclaimed Bella Ciao. Dan Kaufman, the bandleader of Barbez, moonlights as a journalist. Over the course of reporting, he got to know many veterans of the Lincoln Brigade, including the last surviving one, Del Berg, who died at 100 in 2016. "A Las Barricadas" is a fragment of an interview Kaufman conducted with Berg the year before he died. "Viva La Quince Brigade", the Brigade's unofficial anthem, features a fragment of an interview with Abe Osheroff, a legendary Lincoln vet and life-long activist. In October 1938, the International Brigades were sent home. Five months later, Madrid, the Republic's last holdout, fell. Some half million Spanish Republican exiles fled by foot across the border, settling for a time in damp, primitive internment camps on the beaches of southern France. Their plight -- and defiance -- are captured in the image on this album's cover, taken by the renowned war photographer Robert Capa in 1939. Mixed by Martin Bisi (Swans, Sonic Youth, John Zorn); Live engineering performed by Damon Whittemore (Paul McCartney, Andrew Bird); Includes extensive liner notes by award-winning author Adam Hochschild. LP version. On October 6th, sui generis Brooklyn-based band Barbez, in collaboration with singer Velina Brown, release a remarkable tribute to the International Brigades called For Those Who Came After: Songs Of Resistance From The Spanish Civil War. The album, consisting of inventive and moving new renderings of the indelible protest songs of the International Brigades, was recorded live at the Japan Society, in 2016, at the annual reunion of veterans of the Abraham Lincoln Brigade. The highlight of the reunion has always been the singing of these songs, which were led on several occasions by Pete Seeger, a life-long friend of the Lincoln veterans, who recorded many of them for his iconic 1944 album, Songs Of The Lincoln Battalion. Barbez draws on avant-rock, contemporary classical, and folk music styles such as cumbia and flamenco to reinvent iconic songs for a new generation of listeners. The album features clarinetist Peter Hess (Philip Glass Ensemble), Theremin virtuoso Pamelia Stickney (David Byrne), marimba and vibraphone player Danny Tunick (The Clean), guitarist Dan Kaufman (Rebecca Moore), violinist Catherine McRae (The Quavers), bassist Peter Lettre (Shearwater), and drummer John Bollinger (Sway Machinery); with vocalist Velina Brown (San Francisco Mime Troupe) and special guests Dafna Naphtali on background vocals and Sebastiaan Faber on trumpet. It's the first Barbez record since 2013's acclaimed Bella Ciao. Dan Kaufman, the bandleader of Barbez, moonlights as a journalist. Over the course of reporting, he got to know many veterans of the Lincoln Brigade, including the last surviving one, Del Berg, who died at 100 in 2016. "A Las Barricadas" is a fragment of an interview Kaufman conducted with Berg the year before he died. "Viva La Quince Brigade", the Brigade's unofficial anthem, features a fragment of an interview with Abe Osheroff, a legendary Lincoln vet and life-long activist. In October 1938, the International Brigades were sent home. Five months later, Madrid, the Republic's last holdout, fell. Some half million Spanish Republican exiles fled by foot across the border, settling for a time in damp, primitive internment camps on the beaches of southern France. 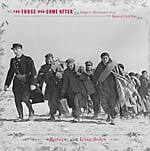 Their plight -- and defiance -- are captured in the image on this album's cover, taken by the renowned war photographer Robert Capa in 1939. 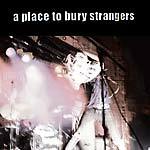 Mixed by Martin Bisi (Swans, Sonic Youth, John Zorn); Live engineering performed by Damon Whittemore (Paul McCartney, Andrew Bird); Includes extensive liner notes by award-winning author Adam Hochschild. Repressed, new lower price. Alessandro Cortini (Nine Inch Nails) and Japanese noise legend Masami Akita (Merzbow) share a mutual love for the EMS Synthi, a British synthesizer from the early '70s notorious for its patch matrix, portability, and distinct tone. Astonishingly, these two disparate artists meld into a single sound as they flex the analog circuitry of the EMS Synthi in new ways; giving this classic synth a modern workout and proving that, in capable hands, a 40-year-old analog synthesizer is a tool for the ages. Metallic shimmer print on heavy duty jackets; 180 gram vinyl.